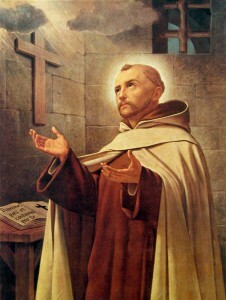 A contemporary of St Teresa, together they reformed the Carmelite friars. Enormously gifted, he was a hospital worker, poet, writer, builder of houses and aqueducts, and spiritual director – all in the midst of a deeply contemplative prayer life as a Carmelite friar. He exacts an integral spiritual poverty for one who wishes to come into possession of the all who is God. Even the slightest attachment hinders a person from reaching union with God.